Should You Shut Down a Computer When It's Not in Use? Can you leave your computer on 24/7? Leave your computer on all the time, or shut it off when it's not in use; does it really make a difference? If you've been asking yourself this question, then you'll be happy to hear that you can choose whichever way you want. You just need to understand the ramifications of your choice and take a few precautions to ensure you get the longest life you can from your computer. The most important precaution is to add a UPS (Uninterruptible Power Supply), no matter which method you choose. A UPS can protect your computer from many of the dangers it's likely to face. But it's not just your computer's semiconductors that are affected. Mechanical components, such as the ones in hard drives, optical drives, printers, and scanners, are all affected by the power cycling they may undergo when your computer is turned off or on. In many cases, peripherals, such as printers and external drives, may have circuitry that senses when your computer is powered on or off, and initiates the same condition, turning the device on or off as needed. There are other failure modes to consider that originate externally to your computer. The one most often mentioned is a power surge and power drop, where there's a sudden rise or fall in voltage on the electrical circuit that your computer is plugged into. We often associate these surges with transient events, such as nearby lightning strikes, or devices that use a lot of power at once (vacuum cleaner, hair dryer, etc). All of these failure types need to be considered. Leaving a computer turned on can reduce exposure to some of the failure types, while turning your computer off can prevent most of the external vectors that can cause the failure of a computer's components. The question then becomes, which is best: on or off? Turns out, at least in our opinion, it’s a bit of both. If your goal is to maximize lifetime, there's a time period when turning a new computer on and off makes sense; later, leaving it on 24/7 makes sense. What makes this interesting is that assumptions made by the manufacturer regarding warranty periods can be upset by the decision to leave a computer on 24/7; let's find out why. The graph demonstrating failure rate over time become known as the bathtub curve because it looked like a bathtub viewed from the side. Components fresh off the manufacturing line would display a high failure rate when first turned on. That failure rate would drop quickly, so that, in a short time, a steady but extremely low failure rate would occur over the remaining expected years. Near the end of the component's life, the failure rate would start to rise again, until it quickly reached a very high failure rate, such as that seen near the beginning of the component's life. Turning your computer off every night, or when not in use, would seem like it could be a cause for component failure, and it's true that as your computer ages, it's likely to fail when turned off or on. But it's certainly a bit counterintuitive to learn that putting stress on your system when it's young, and under warranty, may be a good thing. 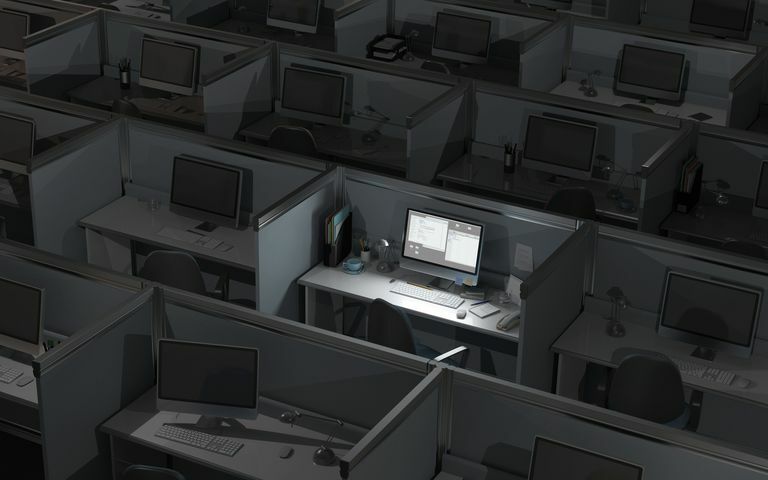 However, for younger computers, it may be more of a "don’t care" issue, as research has shown components in the teenage through adult years remain very stable, and don't show a likelihood of failure by conventional power cycling (turning the computer off at night). For new computers, there's the question of removing stress being an agent of slowing down aging, thus extending the time frame for early failure to occur beyond the normal warranty period. Use a normal turn on and turn off cycle; that is, turn the computer off when not in use during the original manufacturer's warranty period. This will help ensure all components are aged out under warranty to a time frame when failure rates fall to a low level. It also helps to ensure that any failure that may happen will occur under warranty, saving you some serious coin. Once you move beyond the warranty period, the components should have aged beyond the infant mortality time frame and entered their teenage years, when they're tough and can stand up to just about any reasonable amount of stress thrown at them. At this point, you can switch to a 24/7 operating mode, if you wish to. So, new computer, turn it on and off as needed. Teenage to adult, it's up to you; there's no real benefit either way. Senior, keep it on 24/7 to extend its life. One possible problem with running your computer 24/7, even if it isn't actively being used, is that you may discover that your computer entered a hibernation mode that's extremely similar to turning your computer off and back on again. Depending on your computer and the OS it's running, it may support multiple types of power saving options. In hibernation mode, apps that are running are put into a standby state, and then the content of RAM is copied to your computer's storage device. At that point, RAM and the storage devices are powered off. Most peripherals are put into standby mode, including the display. Once all data has been secured, the computer is essentially turned off. Restarting from hibernation mode isn't much more different, at least as experienced by the components that make up your computer, than turning your computer on. As you can see, if you haven’t ensured that your computer won't enter its hibernation mode after some amount of time, you're not really keeping your computer on 24/7. So, you may not be realizing the effect you wanted to achieve by not turning your computer off. If your intent is to run your computer 24/7 to perform various processing tasks, you'll want to disable all sleep modes except for display sleep. You probably don’t need the display to be active to run any of the tasks. The method for using only display sleep is different for the various operating systems. No matter what it's called, or the OS it runs on, the purpose is to conserve power while allowing some apps to run. In regard to running your computer 24/7, this type of sleep mode doesn't exhibit the type of power cycling seen in hibernation mode, so it could meet the needs of those who don't wish to turn their computers off. If you're asking if it's safe to turn your computer on and off as needed, the answer is yes. It's not something you should worry about until the computer reaches old age. If you're asking if it's safe to leave a computer on 24/7, we would say the answer is also yes, but with a couple of caveats. You need to protect the computer from external stress events, such as voltage surges, lightning strikes, and power outages; you get the idea. Of course, you should be doing this even if you plan to turn the computer on and off, but the risk is slightly greater for computers left on 24/7, only because it's likely they'll be turned on when a severe event occurs, such as a summer thunderstorm rolling through your area. How Much Power Is Your Network Router Using?